To answer whether I like this one or not, well, I'm going to have to lean towards not at first, but it's not a hard lean mind you. This isn't a straight up spicy chocolate mix going on. The flavor does feel kind of exotic without having a big burn to it. See, I managed to not say weird, though deep down, yeah, it's kind of weird. This will sound (very) mean, but it kind of reminds me of a cigarette. Another way to say it is that it has that kind of low funk you find in some pumpkin spice flavors. I think what it is though is this mild shock when it first hits your tastebuds but then the chocolate kicks in and you're like "this ain't bad". The chocolate truffles have a soft thud and are fairly plentiful. Alone they are quite tasty. They have a nice, straight cocoa flavor to them and are very enjoyable. They also leave a nice chocolate aftertaste that helps prepare you for the next bite. I'm still trying to zone in on the swirl... whoa, cinnamon blast! A definite fireball flavor on that bite. I had put a bunch of swirl on my spoon and then that happened. Oh yeah, it only lists "natural flavor" in the swirl but it definitely brings a punch to it. Over the course of the afternoon, I've managed to eat about half of the container and take that as you will. It's definitely the rich truffles that help keep this one in check for me. 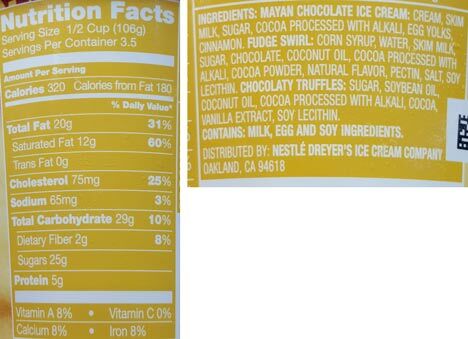 Yes, technically it's on the fringe of check for someone with my particular tastebuds, but it's still a high quality ice cream, it's still a chocolate fix, and while I may not run out to purchase another container, I'm still enjoying it despite a little bit of lingering burn. 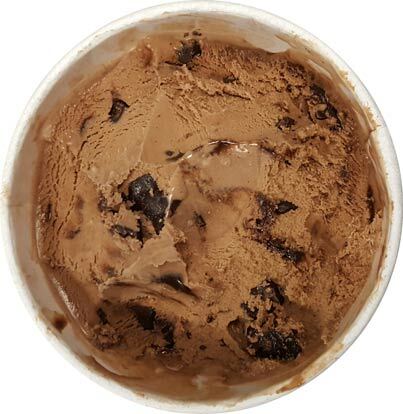 On Second Scoop: And now the other half of the pint has magically disappeared. I hope every faux pint has this many truffle bits (and is light on the sauce) because that's what makes this one work for a lightweight like me. 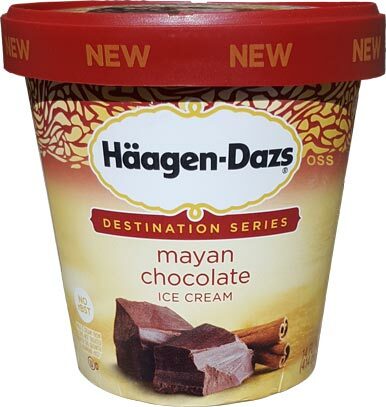 Spicy has never been my thing, but the truffles (basically a soft chunk of chocolate) add a ton of chocolate flavor to the excellence that is a Haagen-Dazs ice cream base and it just works. No, I'm not rushing out to try another pint, but I'm glad a few of you encouraged me to try this one. I loved the original version of this that came out a few years ago. I liked this version, but I thought the chocolate chunks were overkill. The original didn't have them. 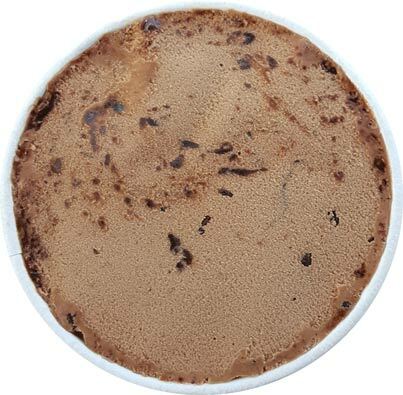 Generally, I like mix-ins, but I thought the chunks detracted from the chocolate-cinnamon balance of the ice cream and swirl. It's still my favorite of the "destinations" series, but I'm not jonesing for it like I was the original version. This and the tangerine shortbread are my favorites and are repeat purchases for me for sure! I loved the cinnamon combined with the chocolate. I'm surprised you didn't like it Dubba because I know how you love cinnamon! Thank you for trying it. I'm surprised yours didn't have a huge puddle of fudge at the top. I've had four faux pints now and they have all had one. This and the coffee have been my favorites. I'm not a mango fan, so I haven't tried that one and have no intention to. Hey Dubba, sorry for going off-topic, but have you ever had Choctál's ice creams? I ask because the Target I work at has a freezer endcap and they look mighty tempting. Oh man. I used to bake a Pumpkin Chocolate Chip Quickbread that was alright. But one time it came out tasting really funky and I had to describe it as cigarette. I've never tried a cigarette but it was jmsuch a strange aftertaste/aroma. After that I was kind of turned off Chocolate + Pumpkin, but I see that combo sold in stores sometimes. @Nocode: no puddle that I noticed... and I am grateful for that! @Jimmy: do you live in California by chance? Choctal seems to be a small(ish) ice cream company based in Pasadena. In fact I do. Southern California to be a little more precise. And knowing this makes sense as to why I've not seen a review on them from you. However, now that it's 110° and will dip into the high 90's, I'll have to break down and give it a shot. It would be cool they sent you review samples because they sound delicious. I love this flavor. I think the cinnamon and chocolate are lovely combination. It is the flavor in the destination series that I have repurchased. Same thing happens to me. 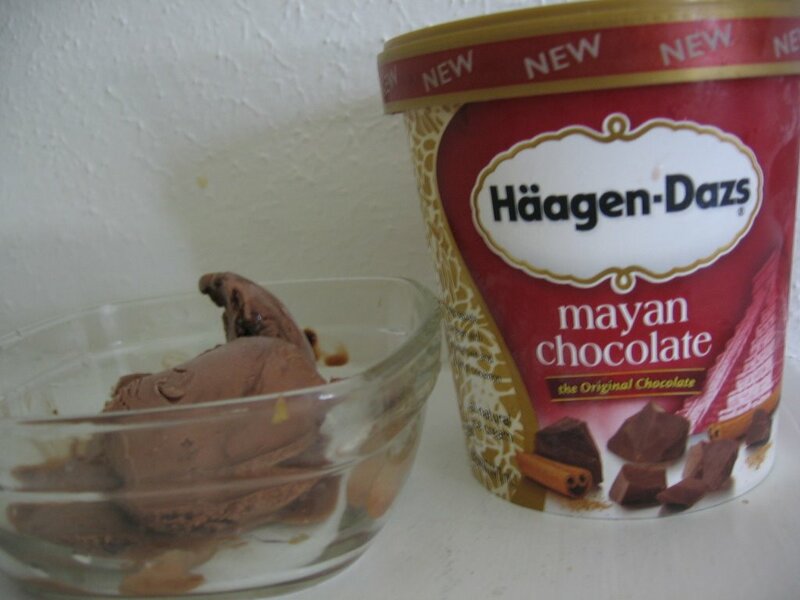 I prefered the earliest version of the Mayan Chocolate they had in 2008. I think the chocolate chunks are too much and they act as a "distraction" of the cinnamon-chocolate combination. Those chunks make this version too sweet. @Michelle & Anon#3: Thank you for the tip! I'm not sure I even remember the original version but I have made a note of it in my review.